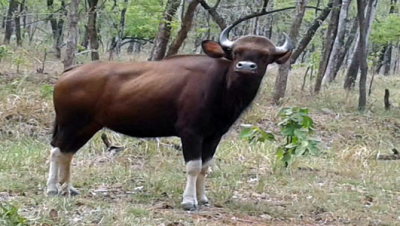 Umred Karhandla Wildlife Sanctuary, about 58 km from Nagpur and 60 km from Bhandara spreed over Pauni Tahsil of Bhandara district and Umred, Kuhi and Bhivapur Taluka of Nagpur district.This Sanctuary has also connection with Tadoba Andhari Tiger Reserve through forest along Wainganga river. The sanctuary is home to resident breeding tigers, herds of Gaur, wild dogs and also rare animals like flying squirrels pangolins and honey badger. It is bounded roughly by the Wainganga river and the Gose Khurd Dam on the northeast, State Highway 9 and Bhiwapur Town on the south, Umred on the west and a narrow 10 km long range of 600-800 m hills to the northwest. 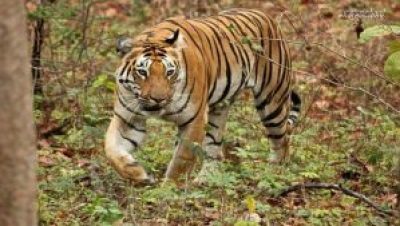 It is located 40 km north of Tadoba-Andhari Tiger Reserve and 50 km southwest of Nagzira Wildlife Sanctuary & 60 km from Nagpur, Maharashtra. 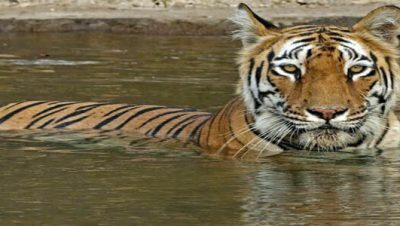 Pench Tiger Reserve is 80 km to the northwest. Air Facility Available upto Dr. BAI Airport, Nagpur (MS). In Bhandara Hotels are available to stay.